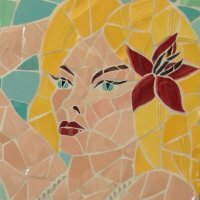 Jenifer Strachan's pique-assiette mosaic installations, commissions, and visions. 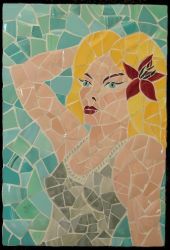 Museum quality mosaics of singular beauty created solely from broken dishes, chipped china, and recycled shards. This Beauty is composed of dishes from the 1940s. It measures 18"x20".